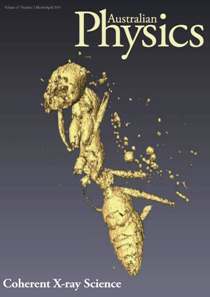 Various books, reviews, and publications describe in detail the AVLIS technique. The selected bibliography, given here, deals primarily with the lasers applicable to this field. This emphasizes the fact that tunable narrow-linewidth lasers, in the visible, are useful in a plethora of applications: from fundamental physics to medicine. As an example, it should be mentioned that, lasers developed for AVLIS, in the visible, are also useful to laser guide star applications in astronomy. 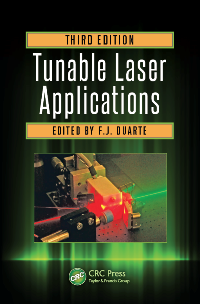 F. J. Duarte, Tunable laser atomic vapor laser isotope separation, in Tunable Laser Applications, 3rd Ed., F. J. Duarte, Ed. (CRC, New York, 2016) Chapter 11. 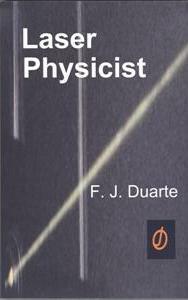 F. J. Duarte, Laser Physicist (Opics Journal, New York, 2012) Chapter 8. F. J. Duarte, Tunable lasers for atomic vapor laser isotope separation: the Australian contribution, Australian Physics 47(2), 38-40 (2010). 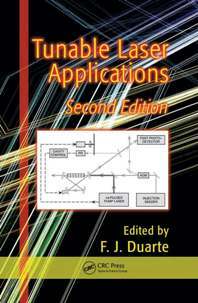 I. E. Olivares, Lithium spectroscopy using tunable diode lasers, in Tunable Laser Applications, 2nd Ed., F. J. Duarte, Ed. (CRC, New York, 2009) Chapter 11. R. Chaube, Design criteria and numerical analysis of a stable dye laser with a curved flow cell, Opt. Eng. 47, 014301 (2008). A. K. Ray et al., A binary solvent of water and propanol for use in high-average power dye lasers, Appl. Phys. B 87, 489-495 (2007). I. E. Olivares, Selective laser excitation in lithium, Opt. J. 1, 7-12 (2007). N. Singh, Influence of optical inhomogeneity in the gain medium on the bandwidth of a high-repetition-rate dye laser pumped by copper vapor laser, Opt. Eng. 45, 104204 (2006). 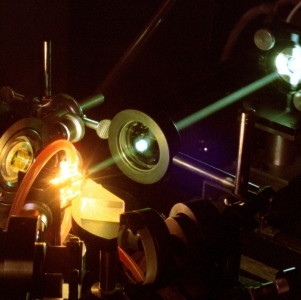 P. A. Bokhan et al., Laser Isotope Separation in Atomic Vapor (Wiley-VCH, Weinheim, 2006). M. Saleem et al., Laser isotope separation of lithium by two-step photoionization, J. Appl. Phys. 100, 053111 (2006). 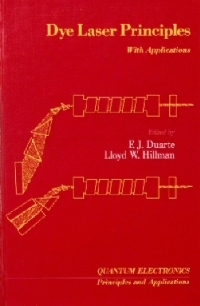 F. J. Duarte and D. R. Foster, Lasers, dye, in The Optics Encyclopedia, Volume 2, T. G. Brown et al. Eds. (Wiley-VCH, Weinheim, 2004) pp. 1065-1096. I. E. Olivares, A. E. Duarte, E. A. Saravia, F. J. Duarte, Lithium isotope separation with tunable diode lasers, Appl. Opt. 41, 2973-2977 (2002). K. Takehisa, Scaling up of a high average power dye laser amplifier and its new pumping designs, Appl. Opt. 36, 584-592 (1997). Y. Maruyama, M. Kato, and T. Arizawa, Effects of excited-state absorption and amplified spontaneous emission in a high-average-power dye laser amplifier pumped by copper vapor lasers, Opt. Eng. 35, 1084-1087 (1996). A. Sugiyama, T. Nakayama, M. Kato, Y. Maruyama, T. Arisawa, Characteristics of a pressure-tuned single-mode dye laser oscillator pumped by a copper vapor oscillator, Opt. Eng. 35, 1093-1097 (1996). Y. Maruyama, M. Kato, M. Ohba, and T. Arisawa, A narrow-linewidth dye laser pumped by a high-repetition-rate long-pulse Nd:YAG laser, Jpn. J. Appl. Phys. 34, L1045-L1047 (1995). K. Dasgupta, S. Kundu, and L. G. Nair, Extraction efficiency of saturated-gain high-average-power dye laser amplifiers: effect of nonlinear signal absorption, Appl. Opt. 34, 1982-1988 (1995). S. Singh, K. Dasgupta, S. Kumar, K. G. Manohar, L. G. Nair, U. K. Chatterjee, High-power high-repetition-rate capper-vapor-pumped dye laser, Opt. Eng. 33, 1894-1904 (1994). I. L. Bass, R. E. Bonanno, R. P. Hackel, and P. R. Hammond, High-average-power dye laser at Lawrence Livermore National Laboratory, Appl. Opt. 33, 6993-7006 (1992). C. E. Webb, High-power dye lasers pumped by copper vapor lasers, in High Power Dye Lasers, F. J. Duarte, Ed. (Springer, Berlin, 1991) Chapter 5. C. Tallman and R. Tennant, Large-scale excimer-laser-pumped dye lasers, in High Power Dye Lasers, F. J. Duarte, Ed. (Springer, Berlin, 1991) Chapter 4. 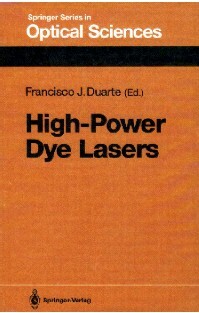 F. J. Duarte, Dispersive dye lasers, in High Power Dye Lasers, F. J. Duarte, Ed. (Springer, Berlin, 1991) Chapter 2. F. J. Duarte, J. J. Ehrlich, W. E. Davenport, and T. S. Taylor, Flashlamp-pumped narrow-linewidth dispersive dye laser oscillators: very low amplified spontaneous emission levels and reduction of linewidth instabilities, Appl. Opt. 29, 3136-3139 (1990). M. A. Akerman, Dye-laser isotope separation, in Dye Laser Principles, F. J. Duarte and L. W. Hillman, Eds. (Academic, New York, 1990) Chapter 9. 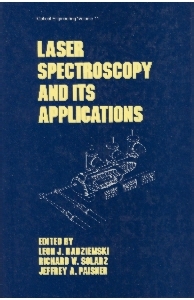 J. R. Murray, in Laser Spectroscopy and its Applications, L. J. Radziemski, R. W. Solarz, and J. A. Paisner (Eds.) (Marcel Dekker, New York, 1987) Chapter 2. M. Broyer, J. Chevaleyre, G. Delacretaz, and L. Woste, CVL-pumped dye laser for spectroscopic application, Appl. Phys. B. 35, 31-36 (1984). F. J. Duarte and J. A. Piper, Narrow linewidth high prf copper laser-pumped dye-laser oscillators, Appl. Opt. 23, 1391-1394 (1984). F. J. Duarte and J. A. Piper, Comparison of prism preexpanded and grazing incidence grating cavities for copper laser pumped dye lasers, Appl. Opt. 21, 2782-2786 (1982). A. A. Pease and W. M. Pearson, Axial mode structure of a copper vapor pumped dye laser, Appl. Opt. 16, 57-60 (1977). First published on the 26th of February, 2005. Updated on the 20th of February, 2016.